The 2013 Caldecott Medal winner! 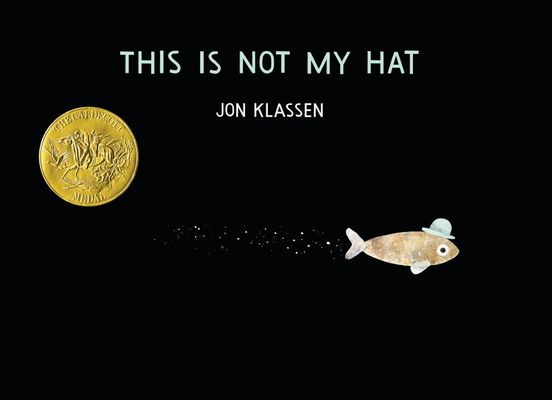 Jon Klassen is the creator of the 2012 Theodor Seuss Geisel Honor Book and New York Times Book Review Best Illustrated Children’s Book of the Year I Want My Hat Back. He is also the illustrator of Caroline Stutson’s Cats’ Night Out, winner of the prestigious Governor General’s Award for Illustration. Jon Klassen has worked as an illustrator for feature animated films, music videos, and editorial pieces. Originally from Niagara Falls, Ontario, he now lives in Los Angeles, California. Any picture book needs to bridge the worlds of adult and child, whether they are the tucker and the tucked in or the experienced reader and the sounder-outer. The negotiations between what grown-ups and children want, and between what adults are familiar with and children are still apprehending, provide the tension that makes children’s books possible. Whether puttering along with Little Tug on the surface or swimming with the fish in the dark below, we’re all in this water together. This is, quite simply, an outstanding book—and that ain’t no fish tale. Simplicity is key in both text and illustrations. The black underwater provides the perfect background for the mostly gray-toned fish and seaweed while the monochromatic palette strips the artwork down to essential, yet exquisite design. Movement is indicated with a trail of small white bubbles. This not-to-be-missed title will delight children again and again. Klassen’s authorial debut, I WANT MY HAT BACK (2011), became one of the surprise picture-book hits of the year, and while it’s tempting to see this follow-up as a sequel, it’s really only related in its hat-theft theme, animal characters, deadpan humor, and a suggestively dark conclusion. . . . The simple, dramatic tension and macabre humor that’s right at a kid’s level of deviousness mesh splendidly with Klassen’s knack for tiny, telling details and knockout page turns. Who knew hat thievery was such a bottomless well? Klassen excels at using pictures to tell the parts of the story his unreliable narrators omit or evade. Klassen combines spare text and art to deliver no small measure of laughs in another darkly comic haberdashery whodunit...Hats off! The eyes have it in Klassen’s latest hat book (I WANT MY HAT BACK). Klassen manages to tell almost the whole story through subtle eye movements and the tilt of seaweed and air bubbles. . . Darkly hilarious. Jon Klassen once again uses short, declarative sentences, a minimalist palette and a hat to deliver a wallop of an ethics lesson. Having explored the victim's point of view in his debut picture book, I WANT MY HAT BACK, Klassen now shines a light into the mind of a thief. . .Klassen once again gets the tone pitch perfect. His bare-bones text and enigmatic images leave the proceedings open to interpretation. And the ethics questions could keep kids debating for days, laughing all the way to consensus. Absolutely gorgeous artwork (digitally assembled Chinese ink illustrations) and an utterly original voice in the picture book world. A title that may well earn the moniker of Most Anticipated Picture Book of the Fall 2012 Season. The central idea here is clever, but it’s the pacing that is impeccable. Like a classic comedy routine, the interplay of text, art, and page turns allow any adult reading this aloud to make it a hit.